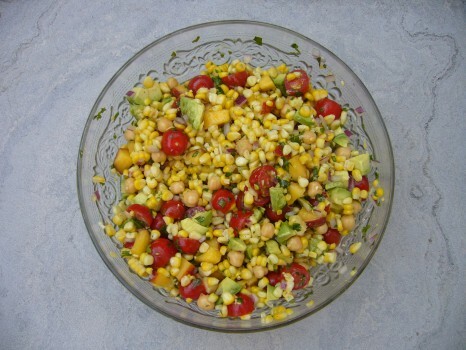 We celebrated Canada Day with this colourful corn salad. With fresh corn and peaches, every bite tastes like summer. Stir the vinaigrette into the salad and serve.